If you happen to be in the market for a new portable audio accessory with Bluetooth functionality, you might like to know that SuperTooth has now launched two new audio accessories over here in the United Kingdom in the form of the SuperTooth Disco 2 speaker and the SuperTooth Melody Wireless Headphones. The SuperTooth Disco 2 speaker is the follow up to the original Disco with a new slim design and shape utilising Bluetooth 4.0 and streams music wirelessly via any Bluetooth A2DP device including smartphones, MP3 players and tablets. 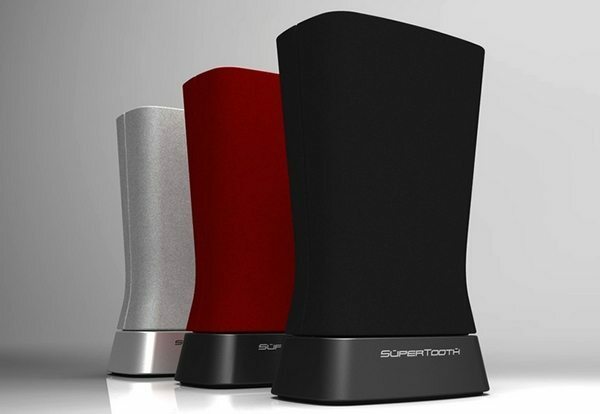 The SuperTooth Disco 2 speaker delivers up to 10-hours of music on the go from a 2-hour charge, whilst preserving audio file quality and optimising them as they are streamed from your device supporting aptX protocol tech, and have an operating range of up to 10-metres and can be controlled via Bluetooth AVRCP devices. The Disco 2 features 2 front speakers whilst on the rear is a high efficiency bass reflex system that delivers 16watts of sound, measures 182 x 108 x 70mm with a weight of 552.7 grams, and you can purchase the SuperTooth Disco 2 speaker in black from Amazon UK at a cost of Â£77.66. As for the SuperTooth Melody Wireless Headphones these too work with any Bluetooth A2DP enables device and feature an omni-directional built-in microphone enabling the user to place hands free calls , and will auto-stop your music whilst in a call. The Melody Headphones have its controls on the side of the headset, and offer an operating range of 10-metres. The Melody Headphones also delivers a music play time or talk time of 7.5-hours on a 45-minute charge and have been designed with a compact foldable design allowing the user to take them anywhere, and are available in a range of colours including black, grey, blue, purple, orange and green. For those that would like to purchase the SuperTooth Melody Wireless Headphones, you can do so by hitting up Amazon UK where they are being offered in black for Â£75.95.